What role does sulpholipid play within the thylakoid membrane? Sulphoquinovosyldiacylglycerol is a negatively charged lipid which exists in the thylakoid membrane. It is proposed that a large proportion of this acidic lipid does not form a part of the bulk lipid matrix but is closely associated with protein complexes where it is tightly bound and participates in either optimising catalytic activities, or maintaining the complexes in a functional conformation. 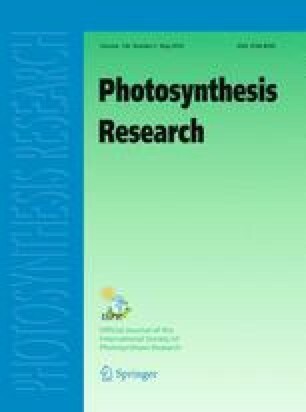 Experimental evidence for this proposal is emerging from studies with isolated photosystem 2, and coupling factor complexes. Dedicated to Prof. L.N.M. Duysens on the occasion of his retirement.